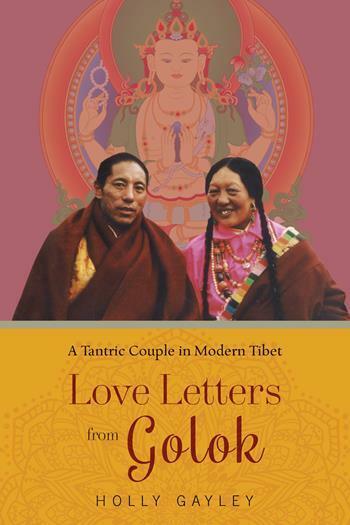 Published in December 2016 by Columbia University Press, “Love Letters from Golok: A Tantric Couple in Modern Tibet” by Holly Gayley chronicles the courtship between two Buddhist tantric masters, Tare Lhamo (1938–2002) and Namtrul Rinpoche (1944–2011), and their passion for reinvigorating Buddhism in eastern Tibet during the post-Mao era. 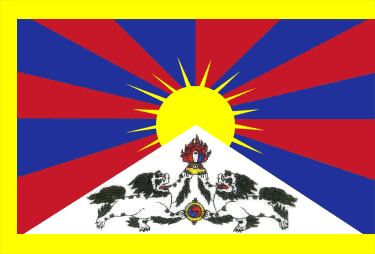 In fifty-six letters exchanged from 1978 to 1980, Tare Lhamo and Namtrul Rinpoche envisioned a shared destiny to “heal the damage” done to Buddhism during the years leading up to and including the Cultural Revolution. Holly Gayley retrieves the personal and prophetic dimensions of their courtship and its consummation in a twenty-year religious career that informs issues of gender and agency in Buddhism, cultural preservation among Tibetan communities, and alternative histories for minorities in China. The correspondence between Tare Lhamo and Namtrul Rinpoche is the first collection of “love letters” to come to light in Tibetan literature. Blending tantric imagery with poetic and folk song styles, their letters have a fresh vernacular tone comparable to the love songs of the Sixth Dalai Lama, but with an eastern Tibetan flavor. Gayley reads these letters against hagiographic writings about the couple, supplemented by field research, to illuminate representational strategies that serve to narrate cultural trauma in a redemptive key, quite unlike Chinese scar literature or the testimonials of exile Tibetans. With special attention to Tare Lhamo’s role as a tantric heroine and her hagiographic fusion with Namtrul Rinpoche, Gayley vividly shows how Buddhist masters have adapted Tibetan literary genres to share private intimacies and address contemporary social concerns. Thank you to the numerous people on Twitter for recommending this book for the Tibet Reading List!